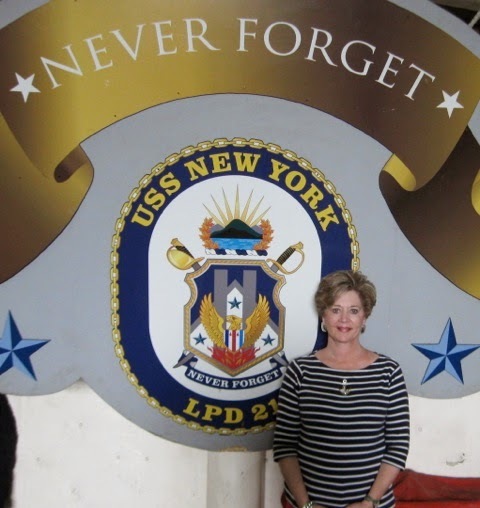 When Gwyn Pritchard reports aboard the USS New York, she’s the only person who sees 9/11 spirits roaming the decks. As the sole survivor of an IED blast, Marine Corps Gunnery Sergeant Adam Connor is wrestling with his own issues, but when he learns Gwyn is seeing ghosts aboard their ship, he becomes her confidant...and her lover. Passions rise to fever pitch when the New York rushes to liberate hostages in North Africa. Can the spirits provide the right intelligence for the Marines to save the prisoners? Can Gwyn help the ghosts move on to the light? And can Adam and Gwyn find the love they’ve searched the world over for? Kim: Wow, Heather, that gave me chills. Please tell us how you got the idea for Never Forget? 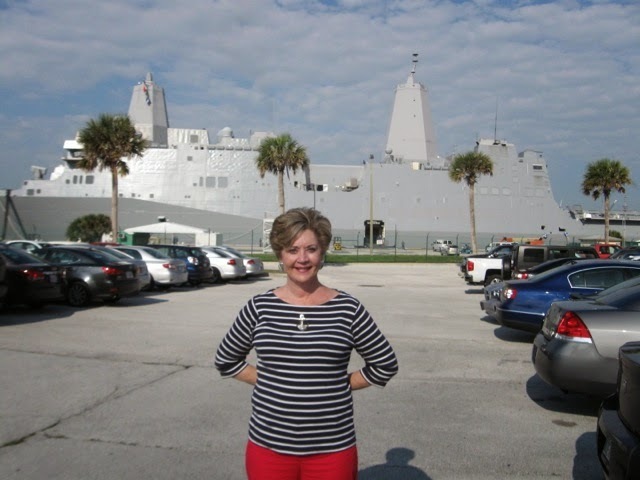 Heather: This is a sacred day in our year, Kim, and I thank you for letting me share my book and photographs of USS New York with your readers today. Just so you know, I’ve worked on Never Forget for close to two years and I still get goose bumps. I’m a Navy veteran who lives in Jacksonville, Florida, so my series, “Love in the Fleet” centers around ships and squadrons out of Naval Station Mayport. When I heard Mayport would be receiving three amphibious assault ships, I researched them. And when I read about the sacred steel from the World Trade Center, I knew I had my story. My initial reaction was: “I can’t do this. It would be wrong.” But then it came to me that if I didn’t write this story, somebody else would, and how could I guarantee they would do it as respectfully as I could. I’m a Navy vet, Navy wife, Marine Corps daughter, and mother of an Army infantryman who has fought in the War on Terror. I felt I was qualified, and figured if I could empower the spirits with some control over the ship, the crisis, and their destiny, it would allow them to move from victim to victor. Kim: Do you anticipate controversy? What about the families of 9/11 victims? As to critics, I would ask anyone who questions the book’s premise to read the story first and then I will gladly listen to their criticism – if they still have any. And controversy? The last time I looked, controversy sells books. And book sales here are a good thing, since I donate half my royalties to Fisher House Foundation in support of military families. Kim: Thus far your books have been about Navy personnel. How does this book fit in with the first two in the series and how easy was it to switch to a Marine hero? Heather: The spirits aboard the New York represent just one story line. 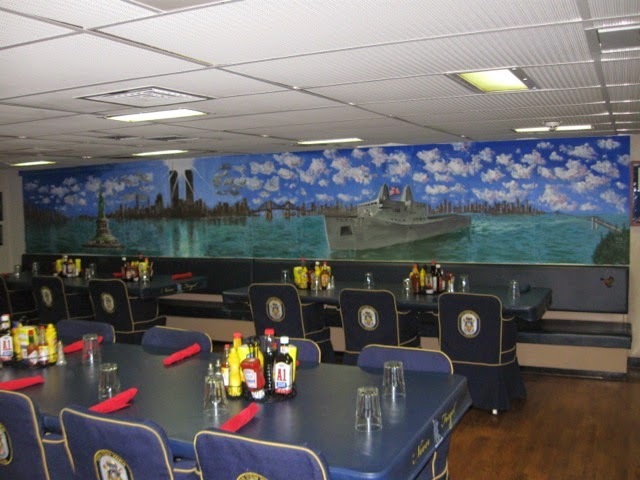 The main story is about a Naval officer exchange program between the U.S. and the U.K. If you’ve read the first two books in my series – about Philip and Sky – the third buddy in their merry band is Nick. Nick needs to get the heck out of Dodge after a breakup with his fiancée, so he applies for exchange duty with the British Navy. His love story with a Royal Navy sub-lieutenant encompasses one third of the book. His replacement is British officer, Gwyn Pritchard who takes his job aboard the New York. She becomes a true ally with U.S. Marine Adam Connor, after he overhears her “ring up her mum to share that she’s bloody well seeing spirits walking the decks of her new ship.” Her mum is a noted psychic back in Wales, and Gwyn is mortified that she has apparently inherited her mother’s gift of a sixth sense. Sky, Philip, and Mikey; the heroes from Forgive and Forget and Forget Me Not, will deploy with the cast of characters in Never Forget. Kim: Tell me about that handsome cover model on the books in "Love in the Fleet." 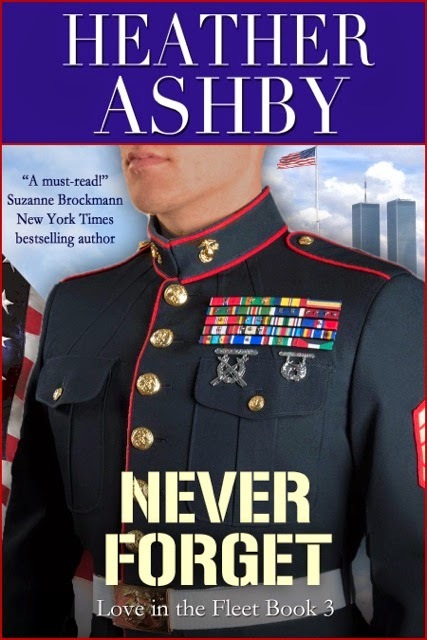 Who is that "Marine" on the cover of Never Forget? And do you find it weird when readers call him "hot?" Heather: The cover model for the entire series is my handsome son. Yup, the one who came home safe and whole from war, and inspired me to show my gratitude by writing the books and donating royalties. I do not find it weird that readers think he’s “hot.” (Especially on Forget Me Not. Check it out on heatherashby.com) I, too, think my son is good looking and he is obviously a good sport. Do you have any idea how hard it is for an Army infantryman to don Naval officers’ uniforms or the dress blues of a Marine Corps gunnery sergeant? LOL. I liken it to hot firefighters who pose for calendars in order to raise money for a good cause. My son knows that half of the money I earn from my books goes to support wounded warriors and their families. Mahalo, Heather, for honoring this day. In honor of our country's freedom, I am sending a book box to a Navy surgeon deployed to Central Africa. I ask you to leave a question or comment for her. The blurb did give me goosebumps. A must read. I still get chills--and tears--now and then, Mary. I hope you will find this to be a book about love and healing. Thanks for stopping by. Great interview, Heather! I love how you make military life so accessible to non-military readers like me. I thought the footage of the planes hitting the Twin Towers were for a movie. It was just unbelievable and scary. The world definitely changed that day. I'm glad you enjoy my military novels, Catherine. I DO like to bring the lives of our troops to civilian readers. And yes, I too wondered if it was a stunt of some kind or perhaps a freak accident - until the second plane hit. A very, very frightening time. Why I'm glad to see reclaimed steel from the 3 crash sites built into the three Tribute Ships (USS New York, USS Arlington, USS Somerset) to show that we rose up out of the ashes like Firebirds, turning rubble into action. I love military stories. Adding to my list. Hi, Debby. I hope you'll enjoy NEVER FORGET. It truly is about love and healing. And although my books are Stand-Alone Reads, you might enjoy the first two books in this series too. Thanks for stopping by. Love the interview. God Bless our military. This book sounds good. Hi, Danielle. Thanks for you comment. And YES, God Bless our Military! And especially today, those lost on 9/11 and their families. Love the review. Thank you to all that gave the ultimate sacrifice and to those who are serving. May God Bless you and your families and the United States of America. I could not have said that better myself, Patoct. YES, God bless those lost on 9/11 and their families. God bless our troops and their families. And God bless the U.S.A! Lovely post. Hubby and I started our day at mass, in memory of 9/11 and all the sacrifices our brave protectors have made for this great country. Thanks to your son for his service and to your family for supporting him. Bless you LSUReader for going to Mass this morning to pray in memory of 9/11 and our protectors. Blessings to you and your husband. Wonderful interview ladies! 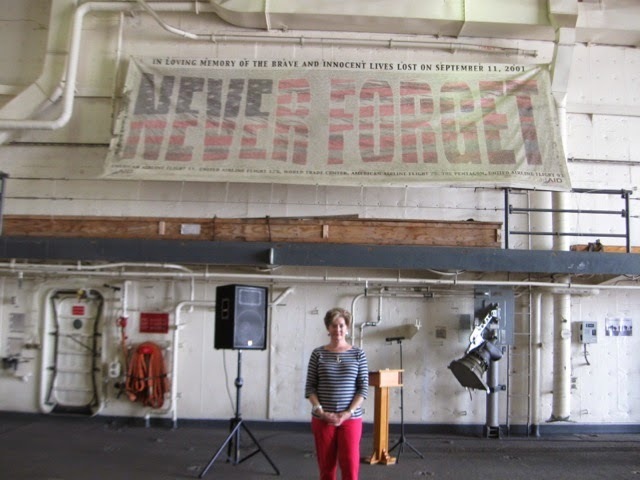 Thank you, Heather, for paying such a fine tribute to our military as well as the victims of 911, who we shall never forget! Thanks for stopping by, Tammy. And thank YOU for your family's service. When one serves, the entire family serves. God bless. Great interview Heather. Thank you for your family's service. What a wonderful tribute to our military with your third book, "Never Forget." Can't wait to read it!! Thank you, Suzanne. I hope you will enjoy NEVER FORGET. And thank you for volunteering your outstanding baking skills in the quest for the perfect recipe for "Helen's Heavenly Cookies." You are an absolute ANGEL! Love ya! You are very welcome, catslady! Thanks for dropping by. Loved the interview. God Bless all of our military, and thank you and your family for your service. Hi, Diane. I remember you! We discussed your avatar last time I was on SOS Aloha! You so kindly offered to do a "Brit-speak" read for me and I ended up with several British beta readers. But thanks so much for the offer. You might enjoy this book with "international affairs" in it. Great to see you here. Hope all is well with you and yours, Diane. Speaking of cross-service...this USAF vet can't resist these sister-service books. Awesome! Hope you enjoy them, Beth. Again, I had NO IDEA I'd be led to write about Marines. Gotta go where the muses take you, I guess. Write on! I love military stories and this one just sounds like a truly wonderful read. Military, romance, spirits - how can you go wrong? Wonderful interview and comments. We will never forget. 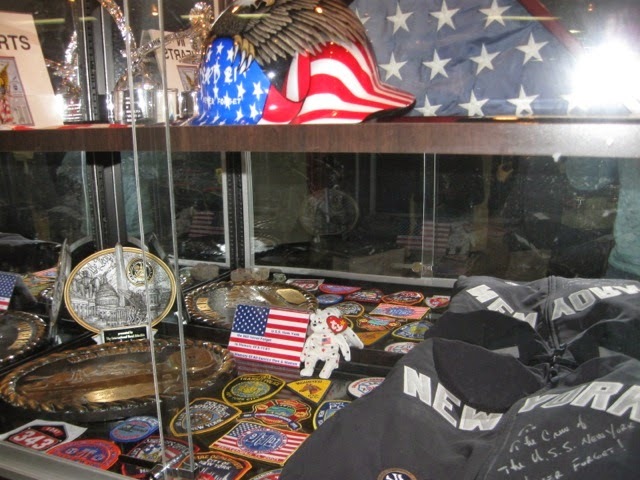 Thank you to all who are serving and for those who have to of course their supportive families. May God bless them all and to all the citizens of the great U.S. Cannot wait to read this book. Love military themed books. Here! Here! I agree with all of your thoughts and blessings for our troops, their families, and the citizens of the GREAT U.S.A. Thanks for stopping by, Karen. God bless. Thank you for the sneak peek of this book; I would love to read it as I do enjoy stories of heroes and the military. Thank you for the lovely post remembering our true heroes. May God watch over them and their family as well as our country. Yes, may God watch over the, and their families as well as our country. And our troops and their families as well. Thanks for your heartfelt thoughts. I lost a dear friend on 9/11. Thank you for the tribute. You are most welcome, Patty. God bless you and your friend's family.